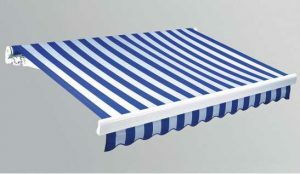 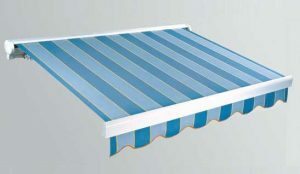 The Awning Warehouse uses a 40x40mm, steel square bar on all the awnings. 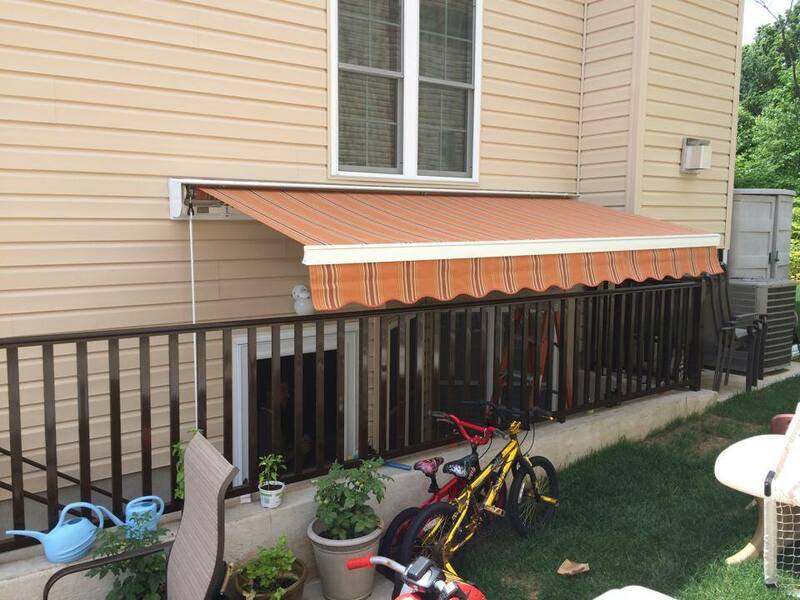 The bar is first galvanized and then powder coated. 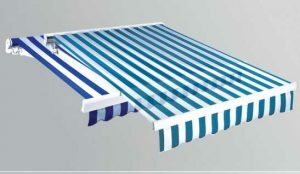 The steel square bar or (torsion bar) as its called in the industry actually absorbs the stress imposed by the wind. 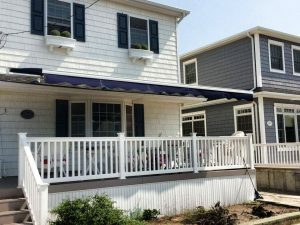 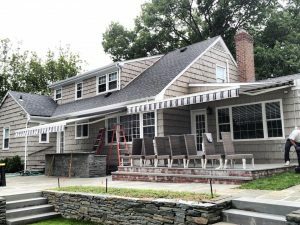 Installation brackets can be attached anywhere on the bar to secure your awning to your home or business. 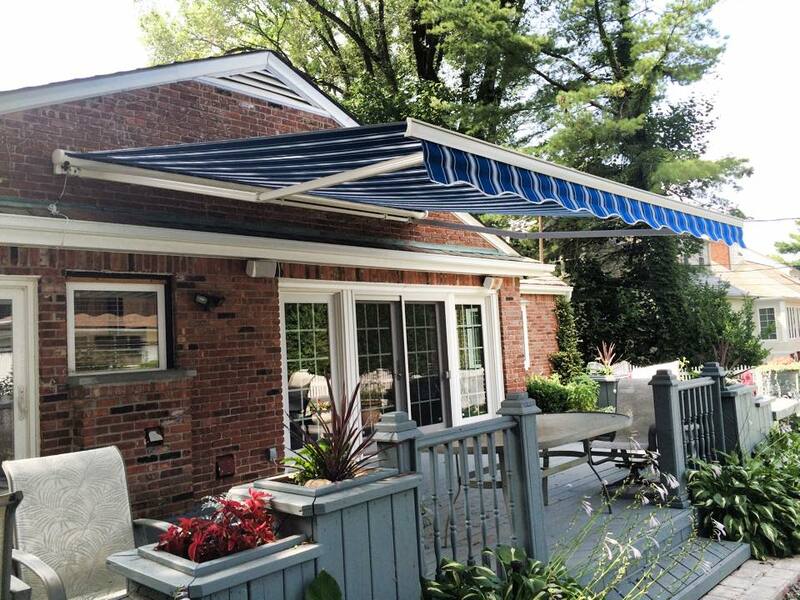 The patented arm bracket comes with all of The Awning Warehouse’s awning systems and attaches to the square bar. 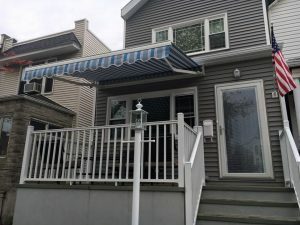 The arm bracket has several features besides connecting the triple spring loaded arms to the square bar.It’s where the adjustment (pitch) is set and also is equipped with a automatic wind-lock device to prevent the front bar from springing upwards. This prevents any possible inflicted wind damage to occur. 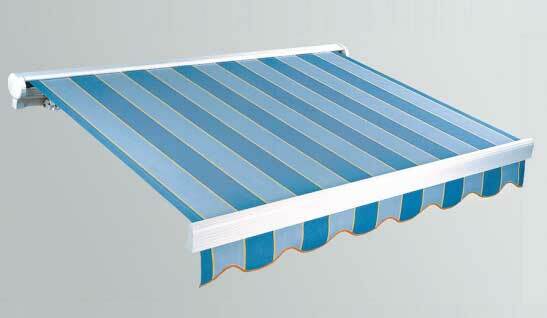 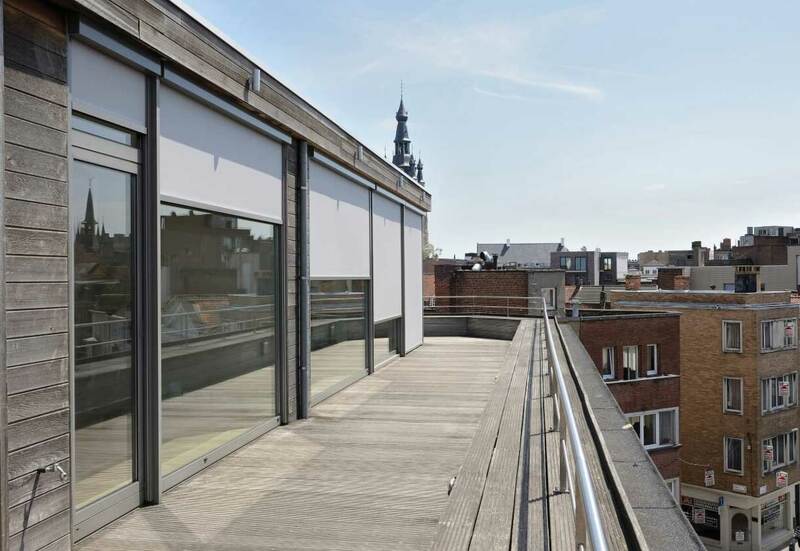 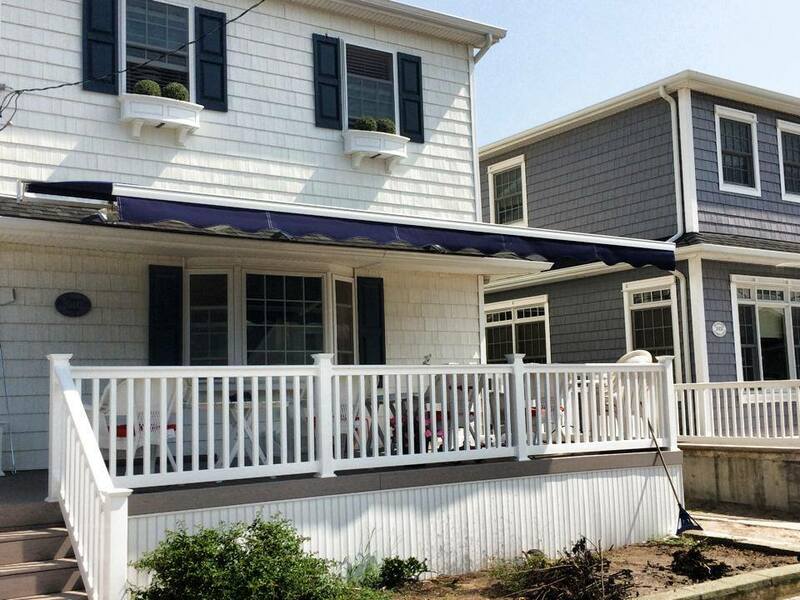 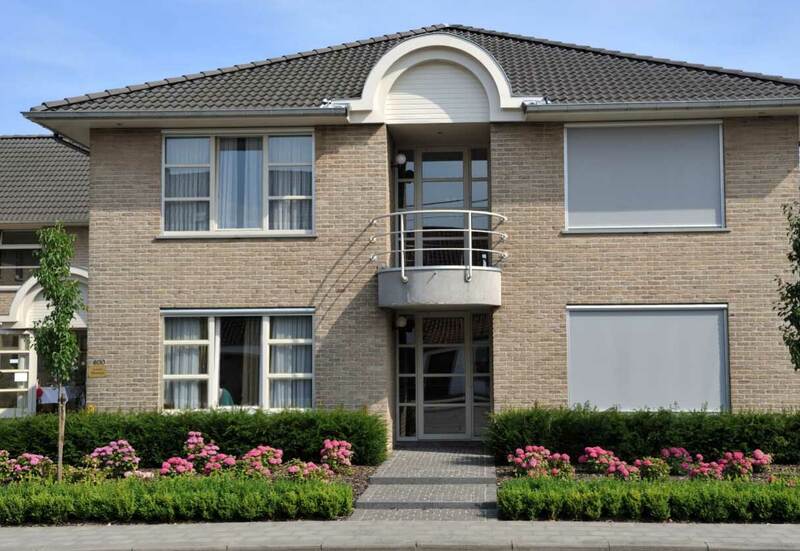 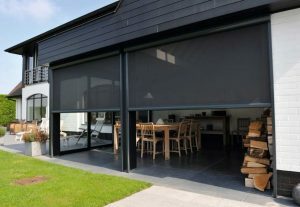 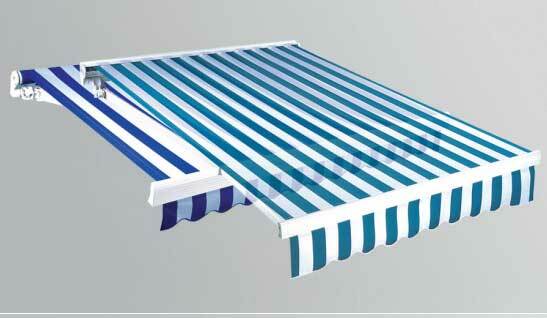 Awning Warehouse Arms are at the core of each awning system. 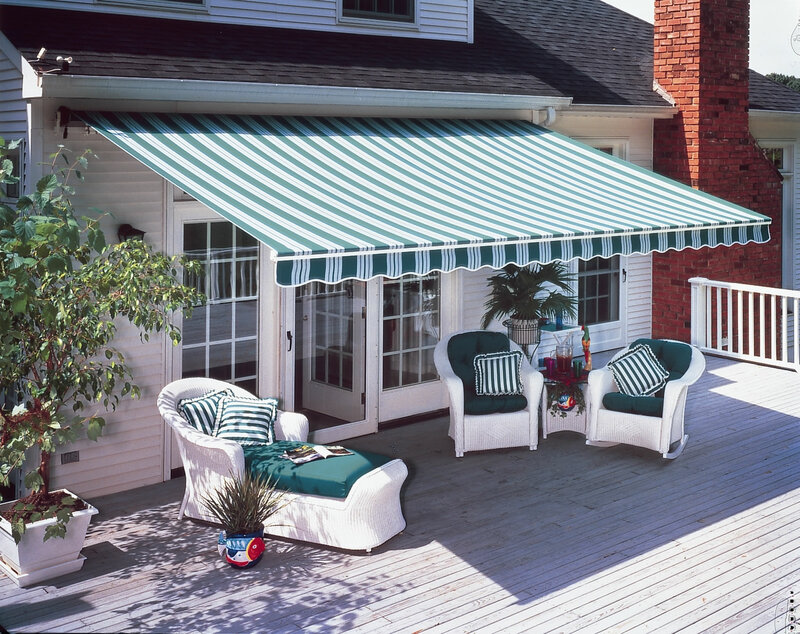 Composed of thick gauged aluminum walled profiles, inner springs and synthetically weather resistant coated cables making our arms one of the best in the business. 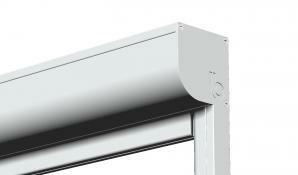 All folding arms are equipped with high resistant, self lubricating bearings and stainless steel bolts. 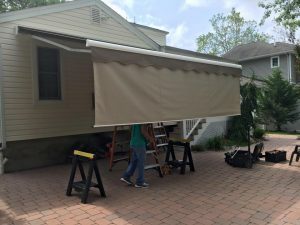 Unlike the competition, The Awning Warehouse uses 3 individually coated cables that are attached to its own internal spring to keep fabric sag to a minimum. 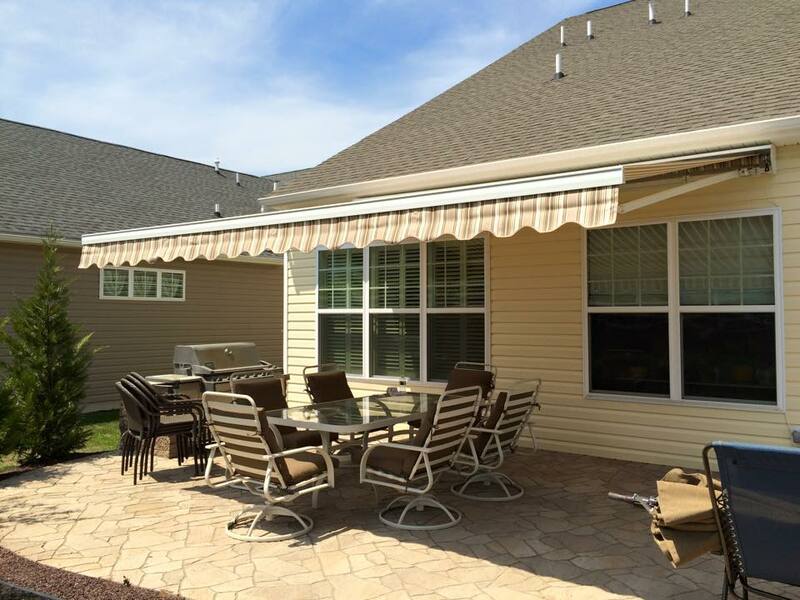 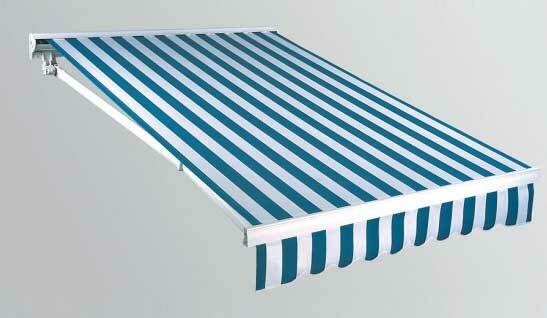 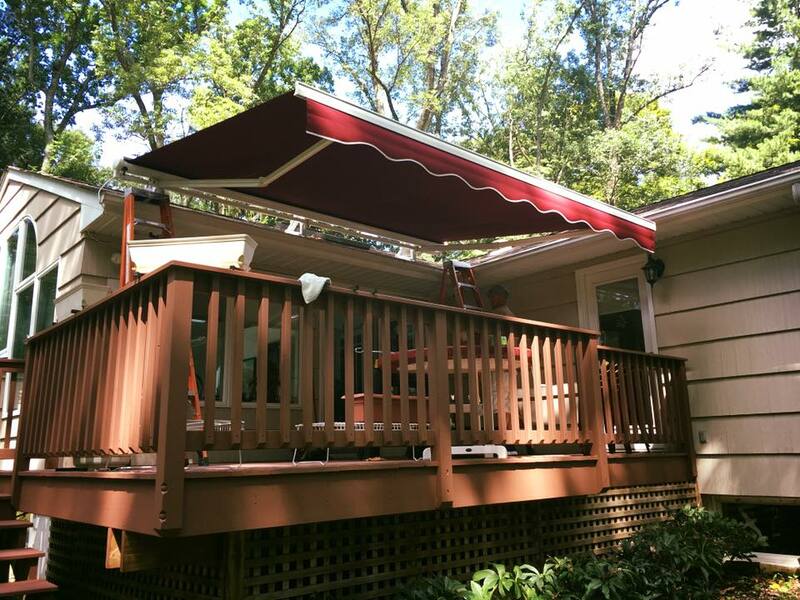 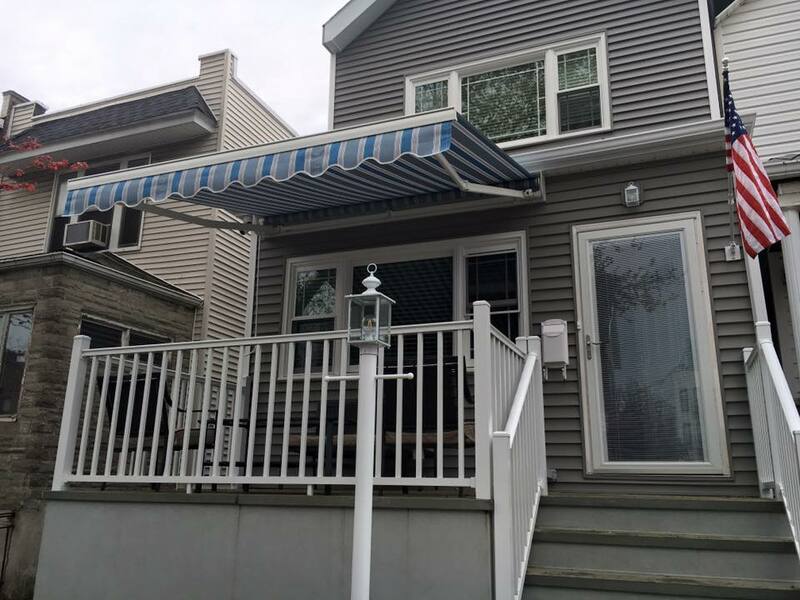 The Awning Warehouse uses a one piece 7″ wide powder coated (white or brown) aluminum hood. 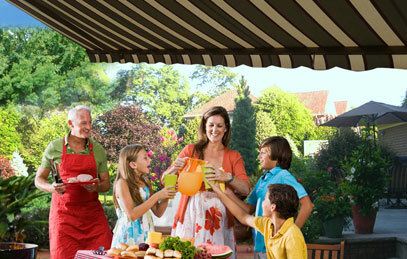 The hood has a rubber shield on the backside that brings the hood closer to the wall. 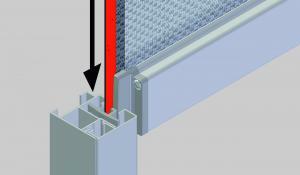 On the frontside it has drain rail to help relieve any accumulated water that collects on the hood. 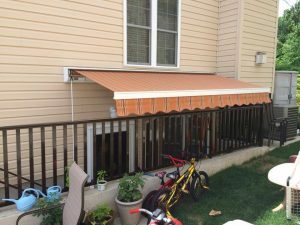 The end caps give it a finished look while providing protection. 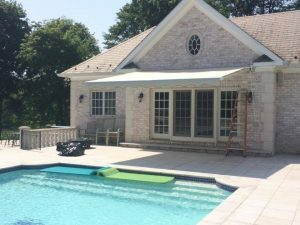 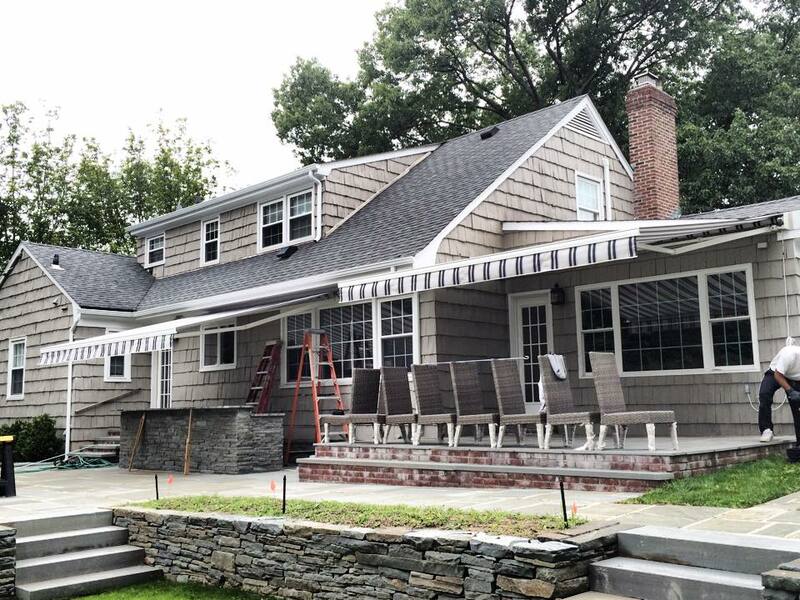 Protect your home from the sun without sacrificing your million-dollar view with our motorized, retractable solar zip screens! 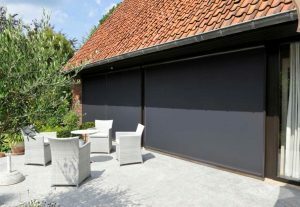 Our motorized solar screens block 90% of the sun’s UV rays, so you limit the sun’s damaging effects on your skin, furniture and floors. Our solar screens let you take in that beautiful sunset view, while protecting your home!